Daylilies are perennial plants that grow from rhizomes. Growing horizontally under the ground, long-lasting lily plants will happily spend several years in the same spot producing ever-larger clumps of foliage and flowers. 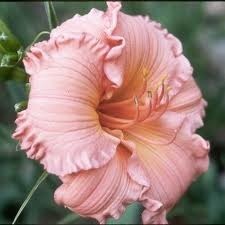 Separating overgrown daylily clumps is known as propagation by division. Daylilies benefit from separation every three to four years. Symptoms of overgrowth that let you know when daylilies need to be divided are: smaller flowers or less bloom, dead spots in the plant centers, slow growth, small straggly leaf straps. Separating the daylilies gives new plantings for free, with just a bit of effort. Determining the best season to divide lilies depends on your climate. Some daylilies are evergreen and will grow year-round in warm areas. Consult a hardiness zone map like that found on the US National Arboretum website if you’re unsure about your climate type. Using bloom time as an indicator for separating lilies is another common practice. Allowing the plants to use energy for producing roots instead of flowers ensures healthy new lilies for the following year. Using the climate as your indicator divide daylilies in the fall if you live in a mild area. The plants will have a chance to put down roots before the strenuous blooming season occurs. Divide in the spring if your climate is harsh in winter. Your new plants will have late spring and early summer to grow before facing winter’s cold. Using bloom time as your indicator divide spring or summer blooming lilies in fall and those that bloom in summer to early fall in the spring. Water daylilies a day ahead of time to make them easier to dig and prevent dehydration. Get your new planting sites ready by watering them and digging them over to loosen the soil. Add compost and dig it in. On transplanting day dig holes in the new planting sites. According to John Bryan in his 1995 book "Manual of Bulbs" for the Royal Horticultural Society, space lilies at least 12 inches apart and about 1 inch under the surface. Mound the dirt in the center of each hole to provide drainage and prevent rotting. Use a handful of sand in the center of the hole if extra drainage is needed. Daylily leaves don’t grow on the stem; they grow directly from the rhizome and are called fans. Trim the partly brown fans from daylilies that are done blooming before separating to keep growing energy concentrated on roots. Trim fans back to leave 6 inches of material. Remove dead and dying leaf matter from daylilies where the fans haven’t turned brown to prevent transplant dehydration. 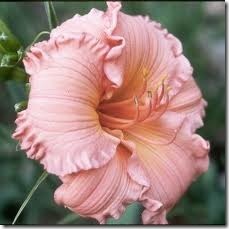 Use a shovel or good garden fork to dig around the daylily clump. Using a transplanting shovel is best. Getting under root balls and levering up perennials is easy with their long narrow heads. Larry Hodgson in his book "Perennials for Every Purpose", published in 2000, recommends working 1 to 3 inches out from the base of the daylily. Work your fork or spade under the clump all around the lily and lift it gently. Free the daylily clump from the ground and set it on your tarp. Rinse lightly with a hose to get off excess dirt or mulch and expose the rhizomes for cutting. Cut daylily rhizome balls into quarters with a shovel for large transplants. Cut into several smaller pieces along natural divisions with a sharp knife for more plants. Bigger divisions re-grow more quickly. Look for smaller divisions to bloom the next year. Keep one large division to replant in each spot where a daylily was dug out. Discard any rhizomes that appear rotted. Rinse your tool when separating several lilies to prevent disease. Use a weak bleach solution (1 part bleach to 10 parts water) after the rinse to sanitize your tool before dividing the next lily clump. Replant all divisions and water well. According to Iowa State University Extension gardeners, "setting plants so the crown (the point where the roots and foliage meet) is about an inch below the soil surface" is best. Cover the base of the daylily with mulch to retain moisture and protect from freezing. Set up a regular watering schedule for the next 4 to 5 weeks. Cover divisions that can’t be put back in the soil right away with damp burlap, keep them moist and out of direct sunlight. Pot up separated daylilies that you don’t want for your friends. If daylilies have formed large clumps but appear to be doing fine they can be left for up to 6 years without division. Using deciduous daylilies in hard-frost areas is best. Evergreen or semi-evergreen daylilies need protection in harsh winters and are best for milder climates. Daylilies hybridize freely and will not grow true from seed so the best way to get new plants that will look the same is by division. Daylilies are prone to crown rot caused by frost heave in harsh climates. Always protect lilies with a thick mulch layer.